AMP Smart Reviews | Is AMP Security a 2019 Door to Door Scam? AMP Security Reviews – Is the AMP Smart Door to Door security sales approach legit? Is AMP Security a scam? No…they are for real, but, before signing a long-term contract for AMP Smart security systems, make sure you read the fine print and check out our AMP Security reviews. AMP Security is an authorized Guardian dealer that operates in various regions around the country with a highly compensated, commission based, a legion of door-to-door sales representatives. Founded in 2009, they have grown dramatically with this aggressive sales tactic…but, the AMP Security BBB rating has dropped to a rather dismal C+ rating as a result. If they have come knocking on your door…we highly recommend that you get all the details in writing, exercise caution and do your due diligence before making a decision and signing on the dotted line. While they are not a scam, online AMP Security reviews cite many instances of misrepresentation and deceptive sales practices. This is not uncommon in door to door marketing companies where it is difficult to monitor unscrupulous or perhaps just overzealous sales personnel. Our AMP Security Review summary and detailed editor’s reviews are followed by a section for Customer AMP Security Reviews and an FAQ section in which we compare AMP Security with some of the best home security companies. If you currently have an AMP Home Security system, we hope you will share your experience with our readers below. Current AMP Security Customer? Leave Your Review! Would-be AMP Security buyer… or perhaps actual AMP Smart Alarm owner? 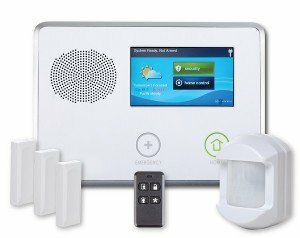 Wondering about safeguarding your family with an AMP Smart system?…Or perhaps you are already an AMP Home Security client and are trying to post or read AMP Security Reviews or simply or looking to find more information pertaining to AMP Security System services….or alternatives to your AMP Home Security system. The Home Security Advisor was developed to be a comprehensive resource to assist you in finding the information you need to make well-informed selections pertaining to home security and the guidelines on how to guard your home and loved ones. Supplemental benefits to buying an AMP Alarm system. To help you to find out more on AMP Security systems along with several of the alternative most widely used security alarm suppliers, check the useful table of contents, with “quick jump” links that will help you navigate right to the segments which are most vital for your needs. There are better security options. See how AMP Security compares with the competition! AMP Security LLC is a Utah based home security company that has been around since 2009. They are an authorized dealer for Guardian Protection Services. Essentially, this means that they are paid for every contract they get signed and installed, and Guardian provides the monitoring and ongoing services. This, in and of itself, is not necessarily a bad thing. However, getting service for an AMP security system can be problematic in areas where there is not a local office. In many areas, teams of seasonal commissioned “door knockers” and installers are deployed to saturate a market in the spring, summer and early fall…only to disappear at the end of the season. While they may put thousands of new customers on the books…they leave behind a wake of potential service issues and customer frustration. In the absence of a quality local presence…this can be problematic…and contributes to a rather lackluster C+ BBB rating. The AMP website is extremely vague and provides no information when it comes to local offices, personnel screening practices, monitoring center credentials, warranties, guarantees and provides absolutely NO transparency for equipment or monitoring rates. This makes it nearly impossible for consumers to research and compare without calling in or setting up an in-home consultation with sales personnel. Additionally, prospective customers must rely on verbal assurances from part-time reps regarding policies instead of published information. AMP Home Security Systems provide home safety through Guardian monitoring services. AMP Security Guardian Protection is provided by Guardian Protection Services fully redundant UL-Listed, Five Diamond CSAA Certified monitoring centers. Unlike most security companies, AMP Security requires a 5-year monitoring contract. Total Connect by Honeywell provides the platform for interactive features and home surveillance. This app gives you control over the security system and home automation functions remotely and allows you to receive event notifications and observe video on your iOS, Android, Blackberry, Windows, Pebble, and Kindle devices…as well as through a standard web browser. AMP Smart Safety and Security monitoring packages are not published and require an in-home consultation for specifics. AMP Home Security systems are comprised of Honeywell equipment which must be professionally installed. The fee for the most basic system starts at $88. AMP Security does not list equipment pricing on the website, making it difficult for consumers to compare equipment pricing. They do provide a touchscreen system- the Honeywell Touch i5000 , but it is not clear whether this is their standard offering or an upgrade. Pricing information is provided during an in-home consultation. Aside from the fact that this requires the prospective customer to take an hour and a half out of the day….it can result in potentially high-pressure sales tactics often used by temporary seasonal commissioned sales personnel. Installation prices are reasonable for the basic system..but, a more comprehensive system could easily run up a bill in excess of a thousand dollars. Online feedback is mixed at best…with over 165 BBB complaints filed over the last 3 years. Complaints range from misrepresentation, service issues, taking advantage of the elderly, failure to inform customers of the 5 year contract term or the automatic annual renewal clause. There is no 6 Month service guarantee (certain restrictions apply) such as offered with an ADT Monitored Security System.…or Lifetime equipment warranty such as that offered by Protect America. A C+ BBB rating pretty much tells the story. 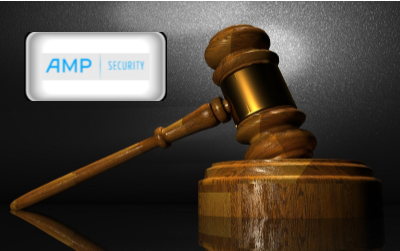 AMP Security does not publish the terms of the contract, warranty provisions or guarantee details. The AMP Security home safety representative that comes knocking on the door will likely tell you that your home has been chosen for a free system to increase visibility in your neighborhood and serve as a way to advertise their name. S/he may seem very sincere when explaining that this is a limited time opportunity…available to only a select few. In reality, these are outdated, standard door to door sales techniques that date back to the “Tin Men” of the 1950s. They are nothing more than a ploy to create a sense of urgency and dupe trusting individuals into making a snap decision before they can do their due diligence. Keep in mind…while it is certainly important to be concerned with home safety, AMP Security requires a 60 Month contract. After the 3 day “cooling off period”, if you want to cancel the AMP Home Security contract, they have a $1250 Cancellation Fee! And aside from their shady sales practices, the fact that the website is so vague and lacks transparency is another red flag. While they do offer a free in-home consultation with a Home Safety AMP Security salesperson, many consumers may be uncomfortable about having to schedule an appointment with sales personnel. If you don’t want a high-pressure in-home sales pitch or a 60-month contract ……and prefer more transparency, you may be better served by investigating alternatives offered by our Top Alarm Companies. Can AMP Smart Security compare to our recommended alarm companies? If you have experience with an AMP Home Security System, please leave a review below to share with our readers. 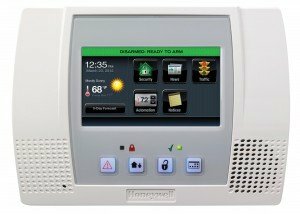 AMP Security is an authorized Honeywell Security System dealer and offers an extensive line up of Honeywell products. How does AMP Home Security measure up to the competition? When AMP Security knocks on your door, take the time to examine why so many people entrust our Top 5 Rated Alarm Companies to help protect their home or family. For a quick side by side comparison, click on the tabs below. AMP alarms are sold door on a regional level, whereas Vivint is available nationwide. This is important if you should ever need to relocate. AMP Security is a Guardian Security authorized dealer with a somewhat dubious reputation. Vivint has had similar approaches and challenges in the past but has recently revamped their program. They have increased transparency and introduced a more simple monitoring structure. Equipment pricing is separate from monitoring so there is less “smoke and mirrors” when it comes to contracts. If someone from AMP Security has come knocking at your door-don’t fall prey to the “we only have a limited number of “Free” systems for advertising purposes in your neighborhood”. These offers are available any time to anyone. They are just trying to create a sense of urgency to manipulate you to buy on the spot without researching or comparing them with other home security companies. Before committing to an expensive long-term contract, we recommend that you take the time for a bit of extra due diligence. Carefully consider the comments in customer Amp Security Reviews, and take the time to get a competitive quote from Vivint. If you are considering an AMP Security System, we would strongly urge you to also consider ADT. An ADT monitored security system is also professionally installed and offers nationwide installation and service capabilities to over 6 million homes and businesses in the US. Armorax DIY or AMP Professional Install? AMP Security Systems are professionally installed, whereas Armorax is a DIY Alarm company. While some may find it more convenient to just have someone else do it…there is a lot to be said for the satisfaction and savings of DIY. Much of our preliminary interest pertaining to Armorax has decreased significantly as the provider continues to reveal clues that it is struggling. The BBB rating has recently lowered off substantially from an A (during the time of our Amp Security reviews)to a C+. Throughout our secret shopping initiatives, we have found that even the sales team doesn’t pick up calls. Inbound inquiries are usually met with by a voicemail that advises them to contact 911 should this be an emergency…or to remain on the phone for the product sales representative. Following 2 or 3 minutes or so on hold, one is subsequently greeted by an answering service that’ll take a name along with a number to get a return call. This makes one wonder what will happen if I have issues with my alarm system? Furthermore, Armorax has switched brands 3 times over the last twelve months. They have converted from the innovative 2 Gig lineup, temporarily marketed the Interlogix Simon XT, and are now supplying the less popular Resolution Helix panel. They have also totally changed their monitoring fee plan three times in the past year. With regard to online Armorax reviews, you will find that virtually no two websites indicate similar costs. They formerly made available no contract programs along with plans with Cost-free equipment and monitoring rates as little as $19.99/mo. Their current promotion is priced at $99.00 upfront together with standard monitoring starts at $34.99 and the Mobile APP is extra! Additionally, the total lack of online transparency does little to inspire confidence. Currently there is a single page website that offers virtually no information on the firm qualifications, equipment, costs, monitoring provider and services, Mobile App, Set up information and/or videos …or pretty much anything otherwise which a prospective client may want to appreciate. Although the company showed terrific potential in the beginning, we are now no longer enthusiastic about them as a solid alternative option Amp Smart. In our judgment, there are much better selections. The content below was listed in our original Armorax vs AMP Security Reviews, and is for comparison purposes only. Armorax has an A BBB Rating They are fully accredited with the BBB , and have compiled an impressive 88% positive reviews on the BBB reviews page. This translates to a 4.67 out of 5 stars! AMP has a dismal C+ BBB rating. Armorax has a simple and straightforward pricing structure…which is shaking up the alarm industry. The standard Armorax Blackbox system is a top of the line 2Gig Technologies GC2, and it is FREE with a 36-month monitoring agreement! Armorax add-on sensors are roughly half the price of professionally installed components. See how much you can save on add-ons by calling 866-355-0640. And that is NOT an introductory price. That includes a Rate Lock Guarantee! With AMP Security, a basic landline system is installed for free. A basic interactive cellular system (without all the bells and whistles that Armorax offers) will run $88.00. There is little transparency on the AMP website, but professionally installed sensors typically cost about twice as much as their DIY counterparts. Armorax rates are locked in at $34.95/mo…..and for the full 36-month agreement. And…you can lock in that rate if you want to renew the agreement. For $24.95 a month….who wouldn’t? With a comprehensive interactive cellular monitoring rate of just $24.95/mo., Armorax is taking the alarm industry by storm. And they don’t stop there. They combine low, low monitoring rates with the top of the line, 2 Gig Technologies Go! Control system! Armorax offers many more features…for about half the price of most competitors…with no up front fees-and a far superior system! Alarm.com Interactive Features – Standard! Armorax uses the award-winning interactive platform provided by Alarm.com….in its standard system! These features are showcased by the Armorax Blackbox which features a premium touchscreen 2Gig GC2 control panel which can display local weather 5-day forecasts and provide severe weather warnings in an emergency. 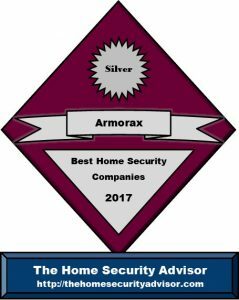 Armorax provides top of the line, DIY security and home automation products with rock-bottom cellular monitoring rates that include Alarm.com services. With a FREE premium system and full-featured monitoring services for $34.95/mo. AMP Security services run about double that…and require a 60-month contract. Just about all security alarm organizations demand a 3-5 year monitoring agreement any time you sign up with the company. This is actually a somewhat ordinary routine within the alarm business and AMP Smart home security is no exception to this..
With AMP Security, the moment beyond the 3 day right of rescission, one is normally accountable for all, or the majority of the monitoring payments for the entire duration of the contract, even if one transfers past the support area of the company. If you are contemplating relocating, make sure that you understand your obligations to AMP Smart before making a commitment. Escalation clauses- Some companies retain the right to increase monitoring rates following the first year…even when the contract duration is longer. Automatic Renewal Clauses – Some documents repeatedly renew on an annual, after the first term is over except in cases where the consumer legally cancels the deal as well as meets essential terms regarding termination. Cancellation Terms and conditions – Quite often times, the deal needs to be terminated in writing, 30 or even sixty days prior to the end of the principal contract. Just be sure you get hold of AMP home security customer service and fully understand precisely what requirements really need to be met to end the commitment. When it comes time to conclude that contract, just remember to take all the required actions and record every one of the communications. Make sure that all communications are properly archived and keep them where they’re able to easily be gathered just in case there may be an argument. Also- make sure you monitor your bank account to ensure you don’t see any computerized debits following the prearranged date. 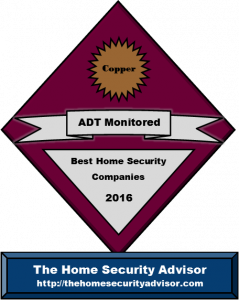 After your experience with AMP Home Security, you’re going to have a better idea of what a preferred company should be like. Our short security quiz will assist you to identify your choices. Can renters get an AMP Security system? Although they normally do not indicate how they handle rental situations, nearly all home security providers that provide professional installation demand home ownership. In the event that you’re renting a house, condominium or perhaps an apartment, you will have to call them directly to determine if you are eligible. If they do agree to install a system, you will probably be instructed to supply paperwork regarding landlord authorization. Should you be renting, you can check out our Ultimate Guide to Security Systems for Apartments. Renters often inquire whether or not pets will set off the motion detector. are a ‘smart” method to protect large areas or an entire room. The standard AMP security motion sensors will screen pets under 40 pounds out if they’re appropriately positioned. If you have a larger pet…ask your amp alarm system rep about detectors that can screen out pets up to 80 pounds. And if you already have a system, don’t forget to share your experience in our section for AMP Smart reviews. Is it imperative to get a burglar alarm permit to operate an AMP Security system? Strictly speaking, you do not need a permit when the system is not going to be professionally monitored. However, since the AMP Security burglar alarm ends up being remotely supervised with the intent of employing emergency response assistance, several local cities will demand a permit. Generally, this consists of simple registration with your neighborhood police or sheriff’s dept combined with some sort of minimal payment. You will probably be required to produce the name, address and phone number of AMP Security, as well as a monitoring station, whenever the two providers happen to be different. When permits are necessary, the majority of cities will demand some sort of one-time set fee to enroll your system, while a few towns and cities have to have a yearly renewal also. Regarding municipalities with higher criminal offense and false alarm rates, failing to register can bring about some sort of refusal to respond to locations which don’t possess a burglar alarm permit…although this really is rather uncommon. On the other hand, you will be subjected to supplemental penalties and fees if police, fire as well as emergency medical services might be sent to a property with no permit in municipalities in instances where one is expected. Regardless of whether a permit is normally procured, a large percentage of cities will certainly assess fines when it comes to multiple false alarms. Our AMP Security Reviews would be incomplete if we did not caution you that nearly all communities currently have protocols established where the first 1-2 dispatches don’t involve fines. Subsequent to that penalties normally rise from $25-50 to your initial enforceable offense…to $100-200 for subsequent recurring infractions. Because of this, it is essential to that alarm system purchasers get in touch with the community police department, determine what permits will be required, acquire a full knowledge of the area rules and make certain they take into account the recommended strategies for preventing false alarms. Is a landline required for AMP Security monitoring services? When it comes to security, cellular monitoring is the optimal way of monitoring an AMP Smart security system. There are no phone or cable wires that can be cut if AMP Security sets up the system with cellular monitoring. While some AMP Smart reviews might comment about the additional expense of a cellular connection, some owners can save money by getting rid of the landline completely. OFF — Even when your AMP Smart system is switched off, many of the alarms are still active. Your AMP Security system will still alert you if a window or door is left open. In addition, life and environmental safety systems (i.e. water or low temperature) are still active. As a result, if a fire breaks out or there are excessive carbon monoxide emissions present, your system will still alert the AMP Smart Security central monitoring station. Stay– You can arm just the perimeter protection- windows and doors …..by arming your AMP Smart Home security system in the”stay” mode. This will enable you to move about the home freely and have a certain level of protection. Off – The off mode will activate any interior motion detectors as well as the windows and doors. Instant — You can eliminate the entry delay in your AMP Smart system by arming it in instant mode. Duress – You can establish a special duress code which will notify the AMP Security monitoring center that there’s a potential hostage situation. If you are already an AMP Smart customer, please don’t hesitate to talk about your adventures in our section for AMP Smart reviews. Your AMP security reviews provide potential AMP Smart customers valuable insights into AMP Security from the customer viewpoint. As stated earlier, false alarms caused by your AMP alarm system could be not merely an irritation, but can create a distinct strain on your area authorities as well as emergency services resources and could quite possibly wind up costing you pricey fines. Most AMP Security reviews don’t mention this, but, the majority of calls from homes with security systems received by local police departments are a result of false alarms. Because of this, the majority of cities apply fines to property owners after they go over a selected volume of false alarms. To help prevent this from happening to you, the following are some recommendations to avoid a false alarm with your AMP Home Security system. • You should make sure everybody knows the right way to disarm the home security system. Your home security system has a master passcode, together with a number of supplemental operator codes that may be programmed into the system. Attempt to be certain everyone knows his or her code along with is able to disarm the home alarm system. • Make sure that everyone also knows about the security password. If there is an alarm, the central monitoring station will almost always call your home first and ask for the password to make sure that that the person answering is really a legitimate party. If there is an alarm, if the man or woman answering the contact cannot deliver the precise password, the authorities would be dispatched. • Verify that all doors and windows are properly secured prior to setting the system. Any entrance that is left a bit ajar could very well be blown open while you are away and set off the alarm. • Confirm that all detectors are mounted correctly and in the correct positions. Motion sensors have to be set up at a height of 6’ as well as away from the fans, heating units, fireplace and air conditioning units. • Take into consideration items that could set off a motion sensor. In addition to pets, air conditioners can cause fluttering draperies or plants. Even helium balloons can become a problem as they move within the house as a result of air currents. Ensure that they tied down away from the motions. • If possible, pets ought to be confined to locations removed from motion sensors. When this is simply not possible, one can find “pet-friendly” or “pet immune” sensors which commonly screen out smaller pets under 40, 50 even 80 lbs. Motion sensors can also be set up to generate pet alleys whereby pets may move freely about. The other option is to use glass break detectors in lieu of motion sensors. • It’s essential to exchange batteries when needed. Your AMP Security App will typically inform you if your batteries are getting low and additionally alert you when there are about thirty days of usable life. It may be beneficial to have extra batteries available and switch out them as soon as possible. Your system will likely alert you in case there are all other failures of sensors. In the event you have a system error alert, do a status check and examine the sensor. Get hold of your service provider whenever it looks like it’s malfunctioning. Save your customer AMP Security manuals/codes/passwords in a very protected chosen spot in which they could be consulted when necessary. Nonetheless, the easiest way to avoid false alarms is to utilize your system frequently and ensure everyone understands the right way to operate the system. Can I save on my homeowner’s insurance with AMP Security? Yes…installing AMP Security can reduce insurance coverage costs. Insurance carriers often offer substantial discounts on property owner insurance when your home is secured by a supervised alarm system. Although rate reductions vary from business to business and the extent of the insurance policy coverage – normal discounted rates range from 5-20% based on the type of system and the level of services which are supplied. AMP Security Reviews have indicated that they had to request proof of installation. Be certain that the insurer realizes that the system will be monitored as well as whether or not things like fire, flood and freeze protection is integrated into your system. AMP Security should provide a certificate of installation detailing the types of services for which your system is monitored. Bring down Energy Bills – Just by installing an AMP Security and including the Z-Wave thermostat, you’ll be able to help reduce fuel as well as energy expenditures noticeably. By simply optimizing your lighting and heating system daily schedules it’s possible to help reduce consumption and charges by as much as $200 each year. Improve Resale Value – Although hard to attach an actual valuation, the vast majority of prospective home buyers think of a security system as being a sought after attribute that contributes significant benefits to the home. For many potential buyers, it’s really a “must have” and an AMP Alarm can afford plenty of “bells and whistles” that enhance the emotional appeal acquiring a “smart” home. Cost-effective – Many people are amazed at just how cost-effective an AMP Security system can be. Despite the fact that AMP Security Reviews say that the Honeywell security door to door sales approach is a bit too aggressive, AMP Security does have a good system which is fairly reasonably priced. There are various questions that are recommended you contemplate prior to buying AMP Home Security, along with any other program. Considering you’re probably committing to a three to five-year long-term contract, it is very important to consider a variety of variables before you sign any contract. Regardless if an AMP advisor has come knocking on your front door, called you on the phone or maybe you are responding to some sort of slick costly color ad about an AMP Alarm….it is recommended to make sure that you get a complete grasp of the many possibilities to you to really make the most appropriate decision you possibly can. Do-it-yourself versus Professional Set up? One of the primary criteria is whether you need to put in the system personally or just spend money on a professional installation. In the past, systems would have to be hard wired directly into the property. This would entail drilling along with cutting openings through the walls, fishing wires, and complicated mounting and considerable encoding. The technology has become significantly advanced through the years to help make the products extremely user-friendly…and consequently, quite easy for anyone to install. The more popular do-it-yourself security service providers have definitely greatly streamlined the installation procedure to help keep it uncomplicated for even the most technologically challenged individuals. The better companies will pre-program your complete system prior to sending it out, in order that all the operator has got to do is position the gear and simply contact to get the system turned on. Greater than 90% of homeowners found our best Do it yourself alarms systems very easy to install! Though a professionally installed AMP Security system may well entail a lower amount effort, a large proportion discovered that the components offered via the top Do-it-yourself security providers ended up very easy to put up, uncomplicated and even ended up saving consumers a sizeable sum over a professionally installed system. If you should go with professional installation, you may want to consider a more experienced installation provider such as ADT Home Security. If not, remember to inquire how experienced your specialist is and whether they have been background checked and also are subject to drug testing. Make sure you ask if your supplier has its own technicians or just uses 3rd party sub-contractors. Making use of subcontractors really isn’t always bad (they might even provide more experience when compared with company personnel) however make sure they ought to have actually undergone comprehensive vetting before allowing them inside your home. Remember that AMP Security is actually not available in numerous areas. This may be mentioned in unfavorable AMP Security reviews. Buyers grow to be unsatisfied once they transfer and have issues when it comes to canceling their legal contracts. When selecting a protection provider that can help protect your family, we recommend getting the ideal nationwide security systems that are available to protect your property within diverse areas throughout the nation. Nobody wants to be shackled with a lawful contract with a regional company which doesn’t support that location. Will AMP Security be relatively easy to use? AMP alarms have advanced considerably during the past decade. And one of many benefits associated with advancements in technologies is that AMP Security places a massive amount of concentration on making the system easier to use. AMP Home Security systems employ sleek user interfaces which are usually easy-to-use and guide the operator all the way through capabilities which include arming, disarming, bypassing areas etc. At this point, many companies come with totally built-in interactive smartphone apps utilizing home automation capability that allow you to control your house from anywhere on the planet utilizing computer access. Quite a few systems are even making use of voice control capabilities via their own equipment, Google Home or Alexa. These enable you to complete more common tasks by simply delivering some sort of speech command. Though you will find AMP Security reviews that may indicate troubles with installations, service or perhaps billing issues, you’ll seldom find one which will gripe that the AMP Security system is tricky to manage. Below a handful of basic steps to protect your property from criminals-whether you get an Amp Home Security System or not. 1. Make certain to shut as well as lock all windows and doors in the evening and when you’re away from your home. 2. Strengthen entry doors by using deadbolt locks with heavy duty strike plates which have a minimum 1-inch throw. 3. Sliding glass entry doors happen to be a fairly easy target. To stop criminals from forcing them open, place a metal rod or piece of lumber within the track and set up vertical bolts. 4. Maintain shrubs as well as shrubbery surrounding windows and doors trimmed. This will make it hard for a thief to keep concealed..
5. You want to keep your house properly lit. Exterior motion lights are an excellent deterrent to protect against nighttime property invasions. Purchase a professionally monitored wireless home security system. You should sleep a lot better knowing your home is safeguarded. Even a fairly simple home alarm system would most likely amount to 100s of dollars with AMP Security, We highly recommend carefully scrutinizing AMP Security Reviews and comparing them to other companies such as Protect America, Frontpoint and LINK Home Security before signing up for an AMP Alarm. 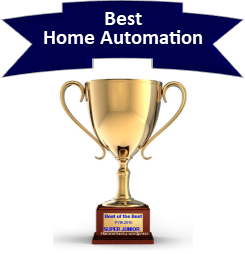 These companies are top rated and help to make comprehensive security and feature rich home automation systems budget friendly for almost everyone! Thank you for visiting! Please feel free to share our AMP Security Reviews , below or follow us, above. If you or someone you know has experience with AMP Security Systems, we hope you will share that experience in our Customer Reviews. Sorry to hear about your poor experience with Amp Security. If you wish to elaborate and rate your experience, you can add to our customer Amp Security Reviews.